Mélanie Bonis, born in a modest Parisian lower middle-class family,was a lively child, strong willed and very much inspired by her religious education. Nothing predisposed her to a musical destiny. She taught herself the piano, in a rather hostile family context, until the age of twelve, when her parents, influenced by one of their friends, Monsieur Maury, cornet professor at the prestigious Conservatoire, resigned themselves to give her a musical education. She started to compose. At the age of 16, she was introduced by Maury to the famous composer César Franck who gave her piano lessons and showed a great interest in her first compositions. A year later, he brought her to the Conservatoire (at that time situated in the Hôtel des Menus Plaisirs, Rue Bergère, in Montmartre). She attended the accompaniment, harmony and composition classes, sharing the benches with Debussy and Pierné. At the time, it was clear that musical composition could in no way be a profession for a woman, that a woman could not compose anything of value. 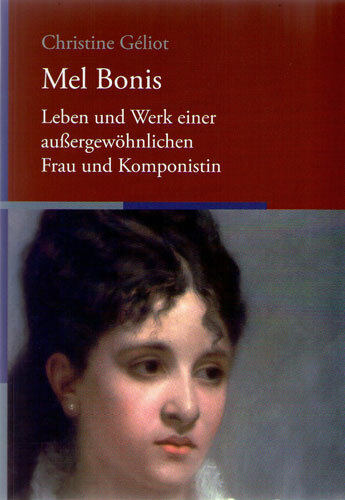 Mélanie gave herself the pseudonym Mel Bonis to avoid any feminine connotation in her name. In the singing class, she met Amédée Landély Hettich, a singing student with a strong personality, poet, journalist and musical critic with some influence already at the age of 22. She set his poems to music. Their passion met with the opposition of Mélanie's parents who refused this marriage into a "dangerous artistic world." They forced their daughter to leave the Conservatoire, to the great disappointment of her teachers, Ernest Guiraud and César Franck, and of the director, Ambroise Thomas. With a second prize in accompaniment and a first prize in harmony, already a promising composition student, Mélanie is forced to resign. In 1883, a marriage was arranged by her family: against her will she married Albert Domange, an energetic businessman, twice widowed, father of five boys and 25 years her senior. He was a likeable fellow, jovial and materialistic. He did not share Mélanie's spiritual ideals. He did not like music. During nearly ten years, the young woman led a bourgeois life, apparently entirely devoted to her family duties. She shared her time between a private mansion in the rue de Monceau in one of the most elegant districts of Paris, a property in Sarcelles and a house in Étretat, a fashionable holiday resort in Normandy. She managed a large family and a staff of twelve people. She travelled, she went out and entertained. She gave her husband three children. She played the role of "Madame Domange" to perfection. As her family circle took no interest in her music, external encouragements were needed to revive Mélanie's interest in composing. A few years after her marriage, she met up with Hettich again. He had also married. He encouraged her to compose, brought her closer to the musical milieu and introduced her to Alphonse Leduc, her future publisher. Her work started to get known: scores were sold and played in the parlours. Hettich and Mel Bonis worked together. She was the mainspring of his "Anthology of classical songs," she showed him her compositions for piano, accompanied his singing students and set his new poems to music, in particular "Elève-toi, mon âme," which expresses the passionate feeling that united them. Still in love with this man who wooed her passionately, in a courtship mixing desire, spirituality and symbiosis through music, Mel Bonis suffered a painful struggle between her feelings and her religious convictions. She resisted Hettich a long time. It was a great combat, a sense of shame which sharpened her sensibility and led her into temptation. Finally, having travelled to Switzerland for an alleged health cure, she secretly gave birth to a fourth child, little Madeleine whom she would never be able to recognize legally. She tried to sublimate these ordeals by prayers and musical creation. She was a prolific and inspired composer. 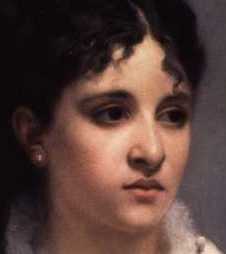 She composed about three hundred works: piano pieces, ranging from pieces for children to concert pieces, for two hands, four hands and two pianos; beautiful compositions for the voice, either profane, with songs for one or two voices (among them those set to texts by Hettich, her lover), or religious, with at least twenty-five works, most of them for choir a cappella or accompanied by organ or harp; about thirty pieces for organ or harmonium; about twenty chamber music works, including three sonatas, two piano quartets, a septet, etc...; and finally, eleven orchestral pieces. The most striking thing is the discrepancy between the moral rigidity of "Madame Domange", obsessed by her social duties and steeped in piety, and the extraordinarily bold sensuality which emerges from the musical works that she produced under her pseudonym. At the same time, "Madame Domange" went on living her very bourgeois life. Her older son married the daughter of the famous editor Fasquelle, who published the novels of Émile Zola. She took, from afar, all the decisions concerning the education of her daughter Madeleine, so near in the secrecy of her heart: the child became a boarder at the École Sainte-Geneviève in Neuilly, near Paris. Madeleine went back to her foster parents during the holidays. Her mother still unknown to her, she was given the name of Hettich at the age of thirteen: her father, now widowed, could at last recognize her legally. The explanations given to Madeleine about her parentage were as confusing as they were changeable. At the start of the Great War, Madeleine's foster mother died and it was necessary to find lodgings for her during the summer holidays. Mélanie took her in as an orphan victim of the war. She introduced her as her goddaughter. Madeleine, now fifteen years old, stayed more and more frequently with the Domanges at Sarcelles or Étretat and thrived on the contact with the numerous young people of the second generation of the clan, those who had not yet been called up. The war affected this family like all others and Mélanie gave more and more evident signs of depression, lying down most of the time (see Piano CD: "La cathédrale blessée"). In 1918 she lost her husband, but the return of her son Édouard, who had been a prisoner of war, was a great relief. Unfortunately, a romance began to blossom between Madeleine, the secret daughter, and her half-brother Édouard. Short of any sensible arguments to prevent this union, the mother was forced to confess to her daughter her love for Hettich, her sin and her maternity. This overwhelming revelation brought back all the memories that had never really been buried. According to the cruel moral laws of the time, the secret had to be kept: such a revelation, in such a milieu, was at that time impossible. It would have shattered the honour of the whole family. Mélanie forced her daughter to swear secrecy on the bible. Madeleine was devastated by the confession. She never recovered from having been excluded from her own family while living within it; she never recovered from her forbidden love for her brother Édouard. But despite their misunderstandings, mother and daughter became closer. Soon Madeleine came to live with Mélanie, now widowed. Mélanie began writing music again. Madeleine was a very good musician and practiced her piano pieces. In 1923 she married and moved away from her mother, now 65 years old. Madeleine became herself a mother to three children, but she was always unsatisfied, radiating sensitivity and deep sadness. She wrote daily and often visited Mélanie, an old lady reclining on her chaise longue, eyes riveted to the sky, looking forward to her reunion with her Lord, her "pure love." 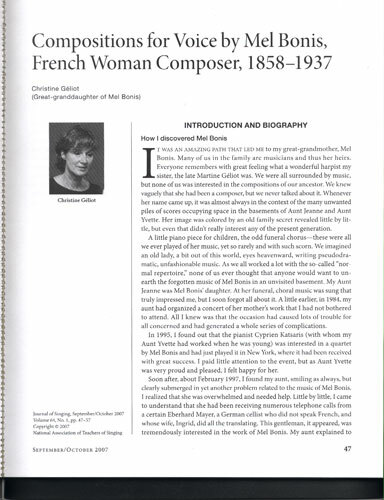 Christine GELIOT, great-grand-daugter of Mel Bonis, wrote her biography in french. Le magasine de la British Flûte Society. ETUDE ENCYCLOPEDIQUE DE LA MUSIQUE DE CHAMBRE, dirigée et éditée par Walter Willson Cobbett, Volume II, 1930. HANDBUCH FÜR KLAVIERQUARTETTSPIELER (manuel du quatuor avec piano), de Wilhelm Altmann, Ed Wolfenbüttel, 1937. Page 108, présentation de Mel Bonis et description du quatuor en si bémol. La revue L'ORGUE, n° 185, 1er semestre 1983, article de Norbert Dufourq sur la vie de Mel Bonis, et son oeuvre, spécialement l'oeuvre pour orgue. 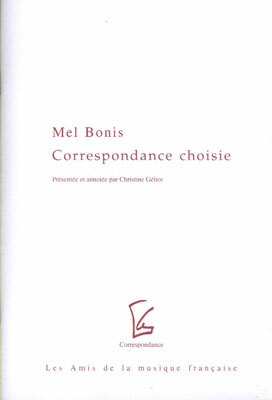 SOUVENIRS ET REFLEXIONS de Mel Bonis, extraits de notes autobiographiques et de pensées de Mel Bonis, recuillis par ses petits enfants, aux éditions du Nant d'Enfer, 1974. AH! MES AÏEUX, histoire des familles Domange et Fasquelle depuis 1820 à nos jours, par Michel Domange, aux éditions du Nant d'Enfer, 1990. KOM: Komponistinen im Musikverlag, de Clara Mayer, Furore (Kassel), 1996. REVUE "VIVA VOCE" de Kassel, Allemagne (frau und musik internationaler arbeitkreis), Mars 2001, article très complet sur Mel Bonis, signé Eberhard Mayer. 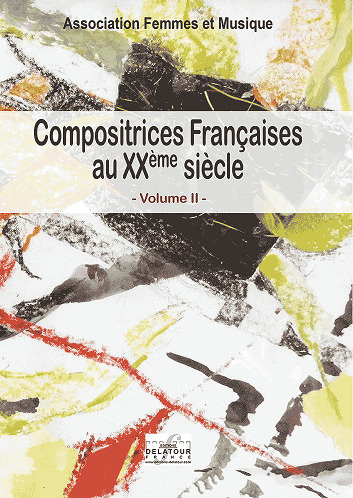 Des compositrices en France au XIXème siècle? Peu de noms viennet à l'esprit des mélomanes, encore moins de musiques. L'ouvrage de Florence Launay révèle à quel point l'histoire de la musique ment par omission. Mel Bonis, Cécile Chaminade, Louise Héritte-Viardot, Henriette Renié, Armande de Polignac, Nadia et Lili Boulanger, évoquées en détail, se découvrent autant de parcours et d'oeuvres insoupçonnées dont la connaissance enrichit l'histoire de la musique. Brochure rédigée par l'Association Femmes et Musique et publiée par la Maîrie de Pari, 2006. 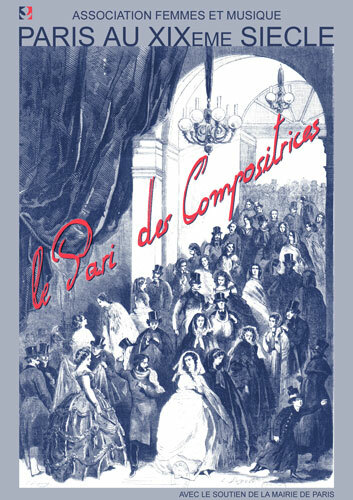 Brochure publiée par "Les Amis de la Musique Française", dans la série "Correspondances dirigée par Ludovic Florin. Documen présenté et annoté par Christine Géliot. Correspondances de Théodore Dubois, Louis-Albert Bourgault Ducoudray, Louis Fleury, Charles Koechlin,, Charlotte Durey Sohy, ainsi qu'une lettre à sa fille Madeleine. 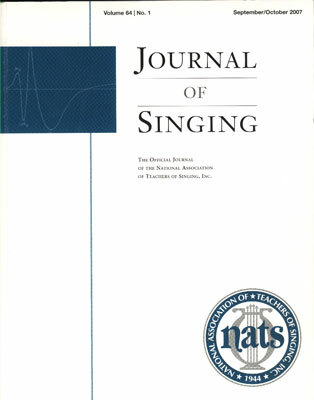 The official journal of the national Association of Teachers of Singing, Inc. U.S.A. 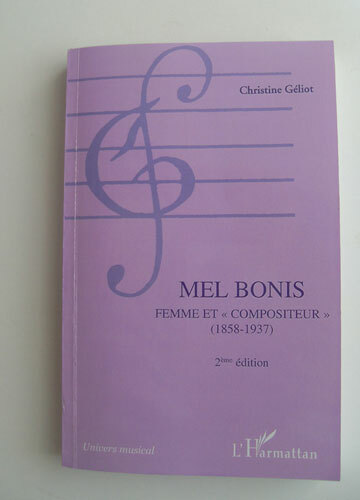 Article de 10 pages sur la musique vocale de Mel Bonis par Christine Géliot, traduction Dilys Barré, iconographie. 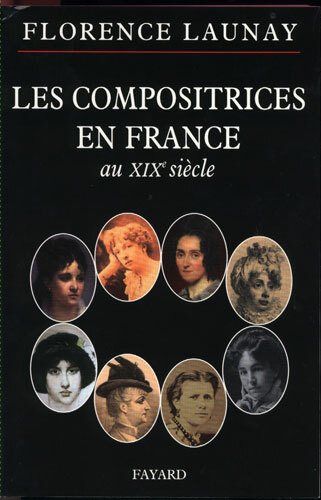 Mel Bonis côtoie Marcelle soulage, Pierrette Mari, Ida Gotkovsky, Odette Gartenlaub, Jeanne Demessieux et une trentaine d'autres compositrices françaises.